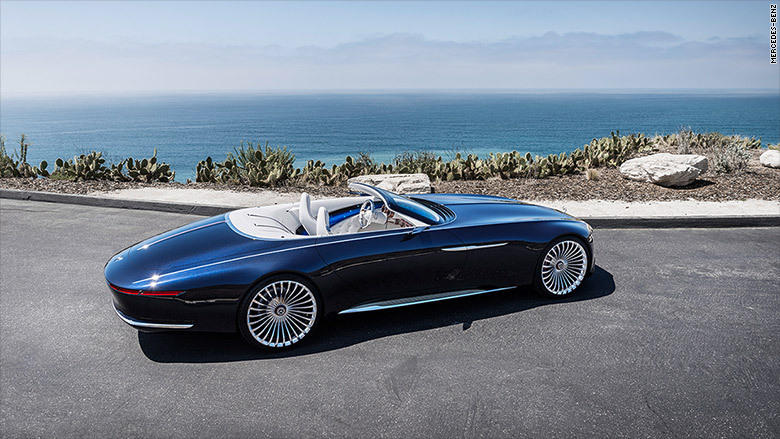 The Mercedes-Maybach 6 Cabriolet concept car looks very appropriate parked next to the open sea. Designers clearly looked to watercraft rather than cars for inspiration. The long two-seater will be on display in at the Pebble Beach Concours d'Elegance in California on Sunday, with the crashing surf of the California coastline will be its backdrop. With its long nose, tapering tail, sparkling blue paint and bright white and wood interior the Mercedes-Maybach 6 Cabriolet looks very much like a road-going sport yacht. The car is intended to show the "ultimate in luxury of the future," according to Mercedes' announcement. The car is electrically powered, according to Mercedes, with a total output of 750 horsepower from four electric motors. With the top down, the car's lines echo the ocean's. Although it has only two seats, the Cabriolet is 20 feet long. The batteries are in the floor so, under the hood, there's storage space for luggage and tools. The big convertible rides on huge 24-inch wheels. 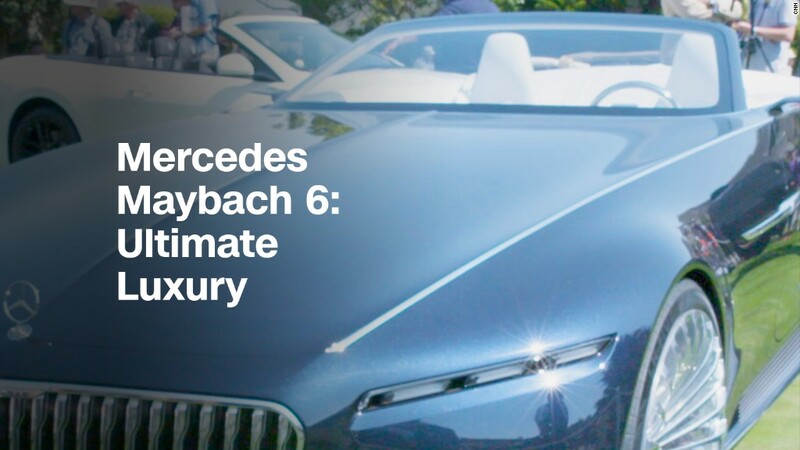 Mercedes-Maybach is Mercedes' ultra-luxury brand, which produces vehicles that are more luxurious and exclusive than the Mercedes-Benz models upon which they're based. There are Mercedes-Maybach versions of the S-class sedan, the S-class Cabriolet and the G-class SUV. The Pebble Concours d'Elegance, which takes place on California's central coast, is generally regarded as the world's most prestigious classic car show. Wealthy collectors are invited to show their best cars at the annual event, which attracts auto enthusiasts for a week of auctions, races and other events. There are 4 electric motors under the hood, plus space for luggage. 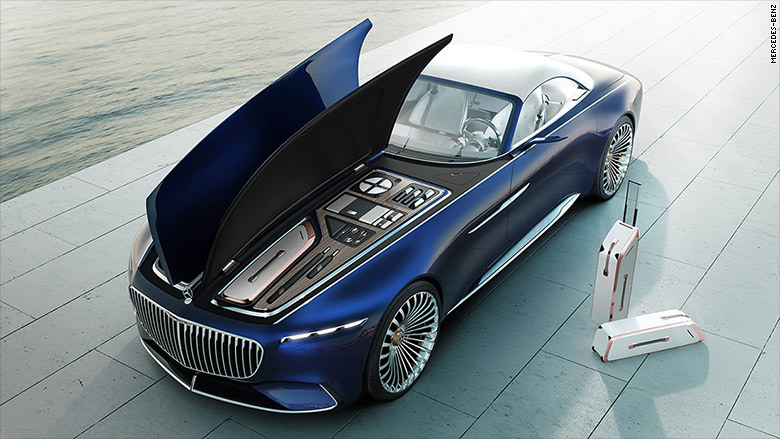 At last year's Pebble Beach event, Mercedes showed the Mercedes-Maybach 6 Coupé, a hard-top car that was nearly as long and powerful as the Cabriolet.